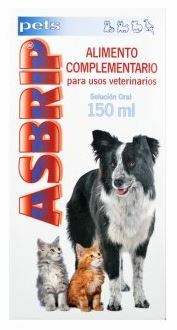 Asbrip Pet is a complementary feed for animals formulated with all natural ingredients to help maintain normal respiratory function. Containing eucalyptus and mint support the function of the respiratory tract, this food supplement is formulated with antioxidants and vitamins to help support your pet with respiratory, enviromental and seasonal problems. There are currently no questions for Asbrip Pet - be the first to ask one!